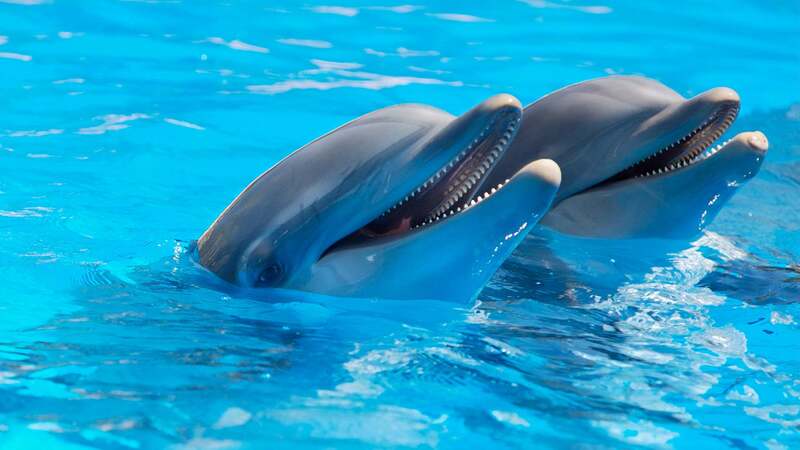 Dolphins and humans have a natural affinity towards one another, and at the top of the agenda on your vacation to Los Cabos must be a visit to our Cabo Dolphin Center. Through our friends at Cabo Adventures, Cabo Azul Resort, is now offering a wide range of heart-warming, educational and interactive programs geared towards dolphin lovers of all ages and abilities. WHICH DOLPHIN ADVENTURE PACKAGE BEST SUITS YOUR VACATION? Learn all about the world of the Pacific Bottlenose dolphin from the best possible teachers - the dolphins themselves. This program is an ideal introduction to the anatomy, physiology and history of the ocean's most inspiring mammals. Interact with your dolphin from the shallow-water platform; touching, feeding and playing. Enjoy a belly ride with your dolphin and feel the amazing power of these gentle and personable animals. This is a great program for the whole family. This program is designed specifically for young kids aged 4 to 9 years, so they can interact and get closer to dolphins than they ever dreamed possible. A life changing experience. If you love dolphins, or have ever thought about being a dolphin trainer, the adventure of a lifetime awaits you in Puerto Vallarta Mexico as you spend an exciting day working beside our dolphin trainers. Cabo Azul Resort offers a centralized location to all of the wonders in Cabo San Lucas that make us a world-class vacation destination. To be amidst the graceful elegance of these magnificent creatures is a truly inspiring and unforgettable experience. Migrating from the North-Pacific during the colder winter months, humpback whales travel to the warm, subtropical waters of Los Cabos to breed and give birth. From December to March, you can experience the majesty and wonder of this awe-inspiring event by embarking on a whale watching tour. Aboard the tour boat, you will have the opportunity to observe these magnificent marine mammals in their natural environment and witness their fascinating behaviors up close. Each excursion promises a unique experience. Capture the beauty of a mother teaching her calf to breach, watch as these gentle giants slap their flukes against the water and even listen to their enchanting songs, for which the humpback whales are famous. With priceless moments occurring at every turn, you are sure to enjoy every moment of this unforgettable excursion.